The award-winning Glazebrook Regional Reserve range explores the potential of New Zealand’s diverse wine growing regions and varieties. 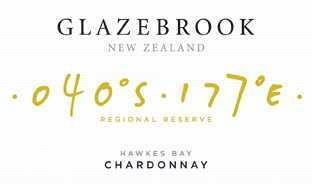 Glazebrook is a tribute to the best that each region can offer, in particular Sauvignon Blanc from Marlborough and Chardonnay, Merlot and Syrah from Hawke’s Bay. Glazebrook is embedded in New Zealand’s history, named after one of the pioneering farming families of Hawke’s Bay and a founding partner of Ngatarawa Wines. Today Glazebrook is produced by New Zealand's first family of wine, the Corbans. Glazebrook wines are produced for fine dining and are widely distributed.